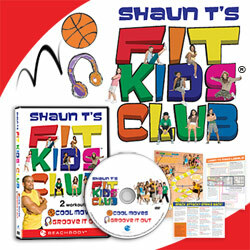 Get ready to get down and get fit with Shaun T's Fit Kids Club workouts for kids ages 7 and up! It's all about having fun while getting sweaty, building up your strength, and having a GREAT time with mad awesome dance moves that keep you super healthy and energized! Don't worry about your size or shape—or even if you can't dance. Just let Shaun T teach you cool, new steps with rad music so you'll be rockin' out in no time! These workouts are so much fun, you won't even feel like they're exercise! 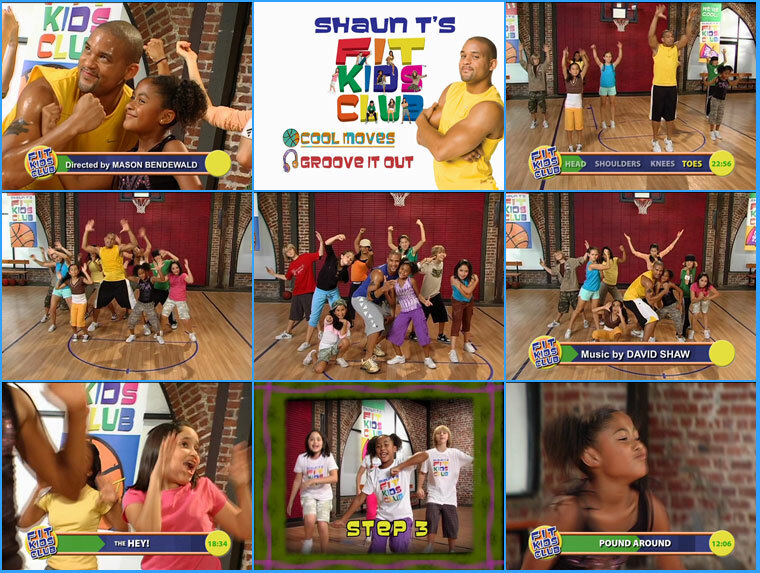 So What Comes Shaun T's Fit Kids Club? You know this package is bursting to the brim with funky dance moves, fresh attitude and lots of Shaun T fun, but what exactly do you get in the mail when you place your order? You get tons! Two workout routines for the kids to keep them on their toes and never bored, along with THREE bonus items to educate and keep them motivated. First you get a bunch of healthy kid-friendly snack ideas to get them eating healthy but enjoyable snacks, second you get an easy to read and learn guide to understanding nutrition labels (it's time they started understanding what they're eating!) and finally they get Shaun T's Fit Kids Club wall poster so that they can mark their progress and keep up their enthusiasm! Take a Look At Shaun T in Action!